Volvo colleagues, dealers and buyers travelled from all over the world to the global launch of Volvo Construction Equipment’s new flagship hauler. Competing with worldwide industry events, we needed to make this one memorable. The new hauler had no unexpected features… because Volvo had been listening to people and developing products based on their experience. The R100E is loaded with the customers’ experience as much as Volvo’s expertise. The event theme snowballed to encompass Volvo CE’s key product range in a new marketing video viewed on Facebook over 177,000 times. We worked with Volvo to develop the launch theme – ‘Made by you. 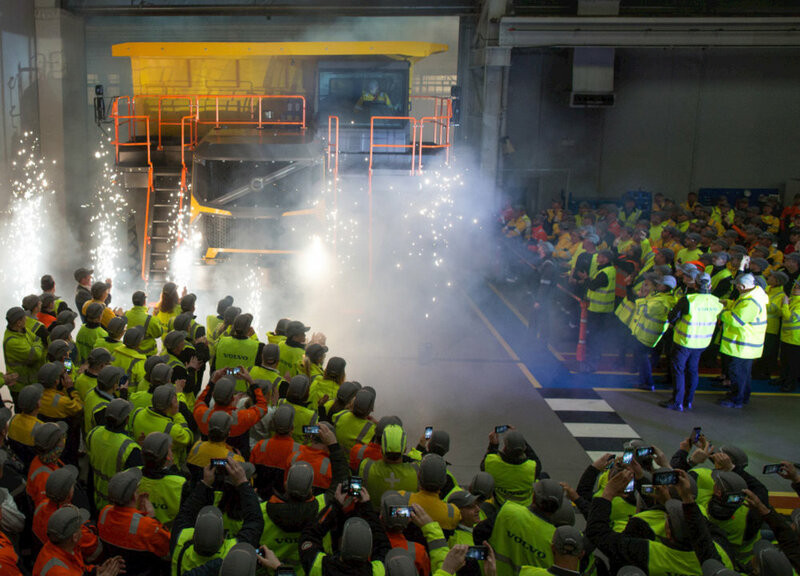 Built by Volvo.’ and all event creative – including the unveil of the new hauler which involved making a hundred tonne machine disappear. The launch was the perfect opportunity to showcase the expertise and enthusiasm of the Volvo team – they led an immersive factory tour filled with 2D, 3D and interactive displays, photo opps and videos.